Trini is a quiet, spiritual, and honorable person. She believes in a fair fight, and has practiced the Mantis style of Kung Fu. Although quiet and reserved, Trini is very strong willed and courageous. The former Yellow Ranger now fights for peace in a different way - at a peace conference in Switzerland. 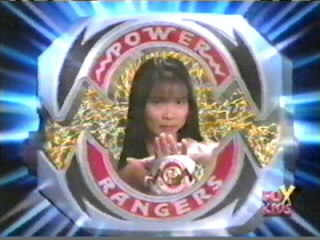 To the Trini went the Sabretooth Tiger Power Coin, giving her the power of the Sabretooth Tiger, and control of the Sabretooth Tiger Dinozord. 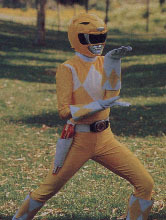 Yellow Ranger's power weapon are the Power Daggers, powerful blades used for defense and for throwing. Her weapons combined with the others to form the Power Blaster. 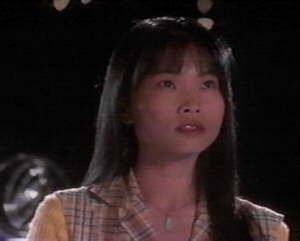 As Yellow Ranger, Trini gained enhanced strength, speed, and durablity.